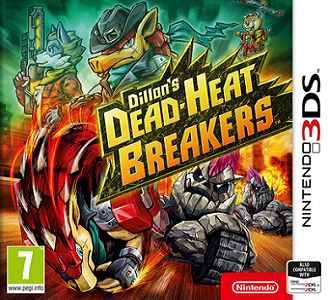 Dillon's Dead-Heat Breakers is an action strategy game developed by Vanpool and published by Nintendo. It is the sequel to Dillon's Rolling Western: The Last Ranger and the third entry in the Dillon series. The setting is more post-apacolyptic futuristic than the previous titles. In addition to playing as Dillon, you also play as your Mii character as an animal. Dillon’s Dead-Heat Breakers runs with no major problems in Citra, but a high-end PC is required to play the game without lag or slowdowns.